Welcome back again to my 12 Days of Christmas Series. Day 7 already! As I mentioned previously we had our team Christmas party recently and we do a secret santa gifts. I made lots of little items to put in some product and some are so very easy. I only had an afternoon to make the gift. 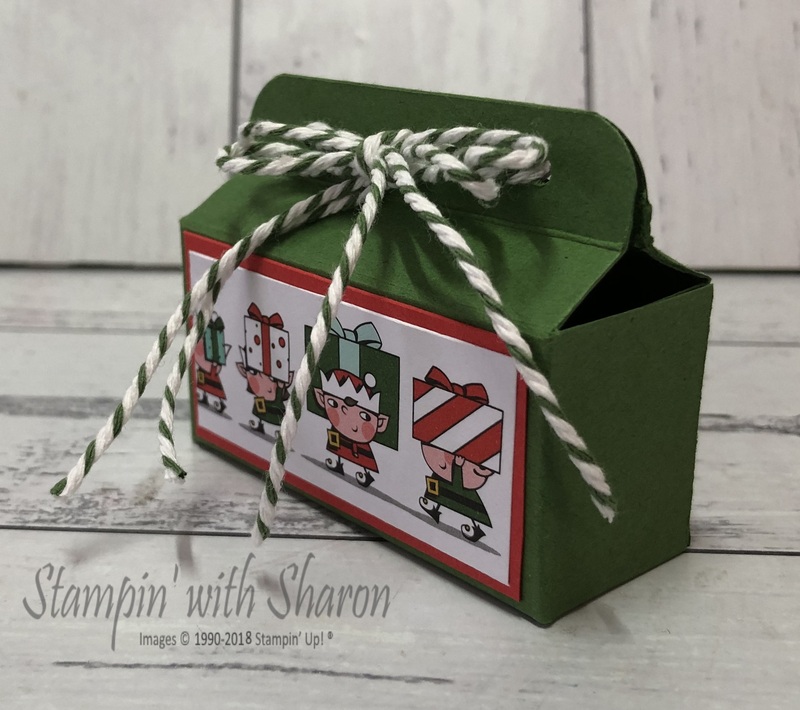 I made this gorgeous little Christmas box and put some ribbon into it. 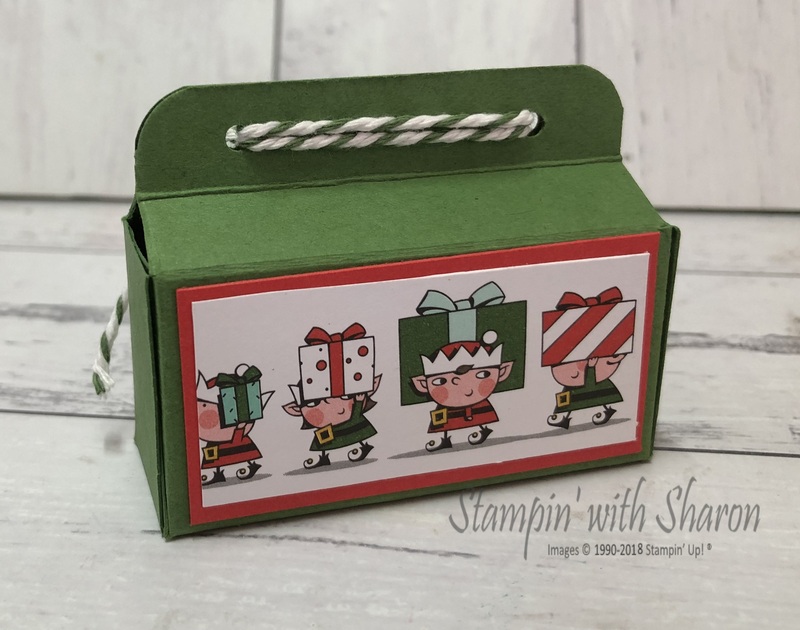 Again I used the gorgeous fun paper Santa’s Workshop Specialty Designer Series Paper and some Garden Green card stock. I used the Garden Green & White bakers twine to tie it together at the top. The original design was from Interwyne Designs. I love her products and enjoying making them. She is one of my go-to designers of boxes and projects. If you’d like any of the products used in my projects, just click on any of the links below to go to my online shop. But get in quick as these products are selling fast and once they sell out they are gone for good.